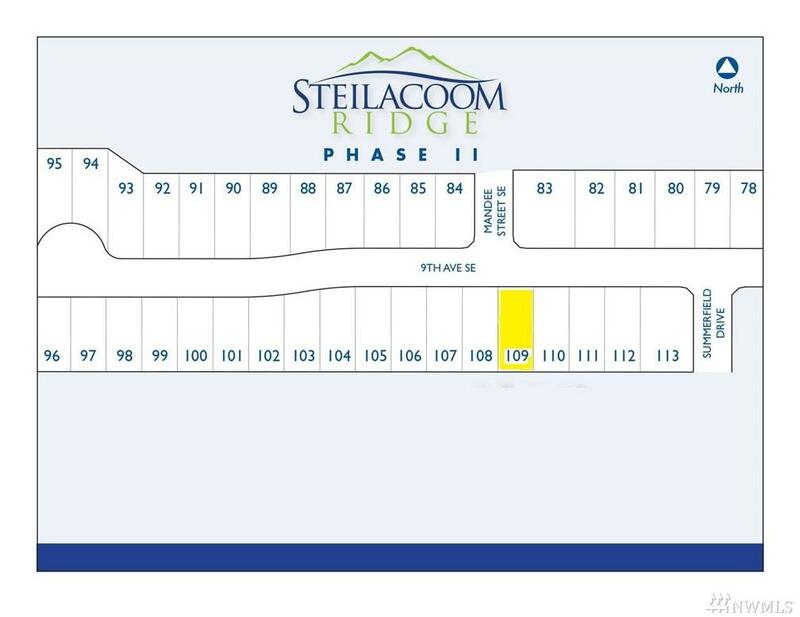 Luxury Rambler by Rob Rice Homes at Steilacoom Ridge! 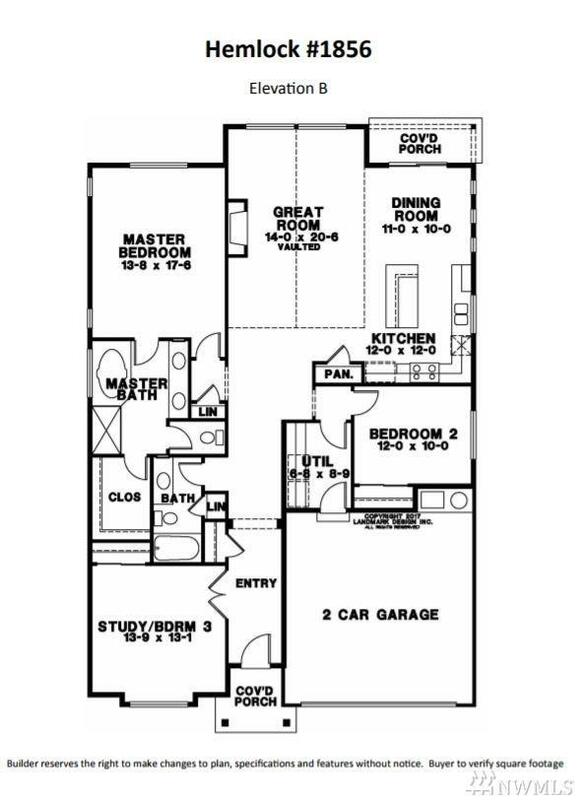 The Hemlock plan offers 1856 sf: 2 bedrooms + den or 3rd bedroom & 2 baths. 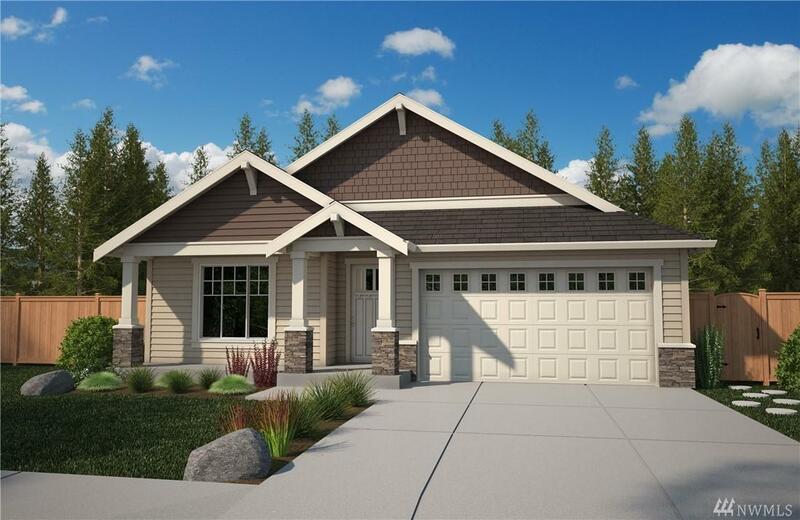 Enjoy hardwood flooring in entry, kitchen & dining, beech wood cabinets throughout in caraway stain w/full extension guides & soft closure, SS appliances & fully landscaped front & back w/privacy fencing in the backyard.2 car garage w/remotes.Easy access to I-5.Local Builder w/30 years experience. To be complete May 2019.Photos for illustration only of a similar home.